International relocation is a common for renowned companies and their senior employees. Travelling abroad for business meetings is also a usual phenomenon in multi-national companies. Global mobility is becoming essential for promoting business and getting more profits. Smooth business operations can be achieved only when you are provided absolute and secure entry to a foreign country. 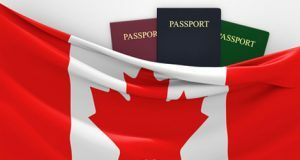 Our corporate immigration lawyers would help you enter safely into Canada.When you are travelling to Canada, there are numerous immigration procedures require to be cleared. Our certified Canadian immigration lawyers would offer you corporate immigration services leading you towards the definite path. We make sure your employees reach Canada without any immigration delays. Our experts have extensive experience in dealing with overseas corporate immigration to Canada from India. We provide legal assistance to all persons, from self-employed, to renowned companies and multi-national organizations. We know our clients and understand that every client has his or her own unique needs. We offer tailor-made solutions to meet our clients’ immigration requirements. Our lawyers organize personal meetings with the company’s HR to discuss the travel itinerary of the concerned employee. Why Choose Our Professional Lawyers? Immigration laws are complex. Moreover, if you do not satisfy them completely, they would come up as a biggest hindrance in your company’s global mobility. The dynamic nature of immigration laws keeps increasing the difficulty of the business visa process. It is strongly recommended to consult a professional lawyer to handle all the procedures. We assist our clients in global mobility, allowing them and their employees conduct overseas business meetings without any hassle. You just need to focus on your business as the rest would be handled by our experts. How we Process Canada Corporate Visa Applications? International corporate travelling is indeed enjoyable, but it’s complex. There are numerous legal procedures that are needed to be synchronized for smooth business operations. In multi-national organizations, where hundreds of employees perform cross border business activities, managing documents can be quite difficult. We offer our immigration experts to handle your business trips. We make sure you don’t violate any immigration law or unknowingly indulge in any legal obligation in Canada. Our professional lawyers would find out the safest route for making Canadian business immigration a pleasant experience. We are amongst the leading Canada immigration solution providers in Ludhiana. We employ only certified and experienced immigration lawyers that provide corporate immigration solutions to business and international companies. We also have capable multilingual staff to communicate with our clients coming from diverse backgrounds. Our lawyers hold the competency to deal with every type of immigration profile. Whether it’s about immigration of your employees to Canada or employing Canadians at your firm, we can handle everything efficiently. Call us for Canadian immigration assistance in India today.